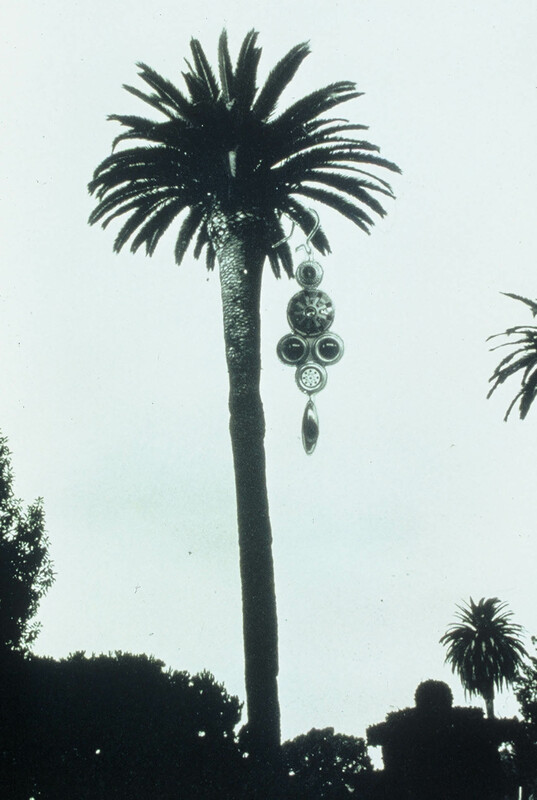 In 1982 I imagined trees and buildings wearing jewelry. 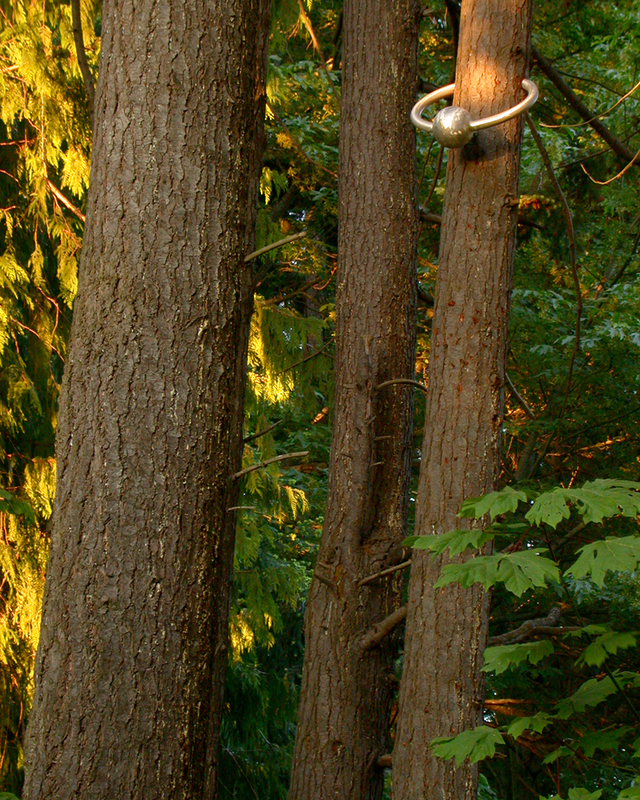 In 2002 I put earrings on trees. 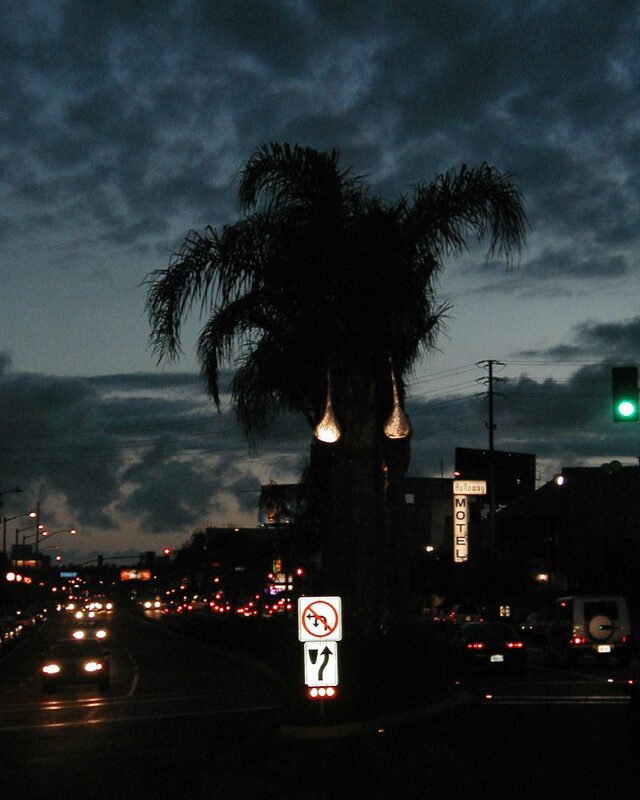 I dressed up a palm tree, using nature as a pedestal for sculpture. 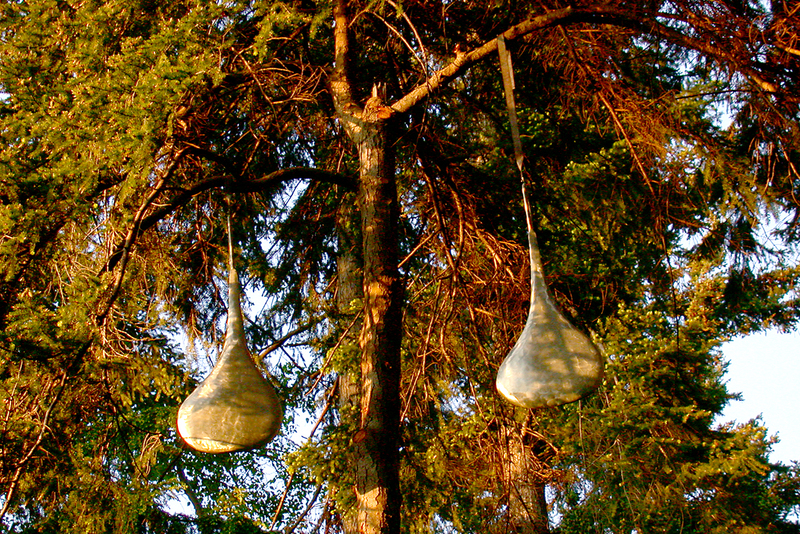 The tree wears a collar that holds two classic teardrop earrings formed out of aluminum sheet. 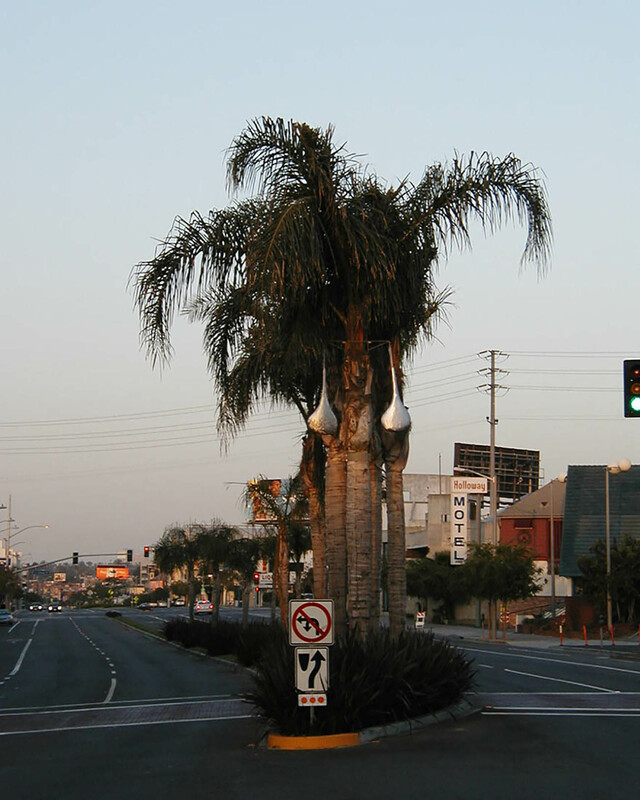 Also, I was able to install Pierced Palm - no the palm is not actually pierced. 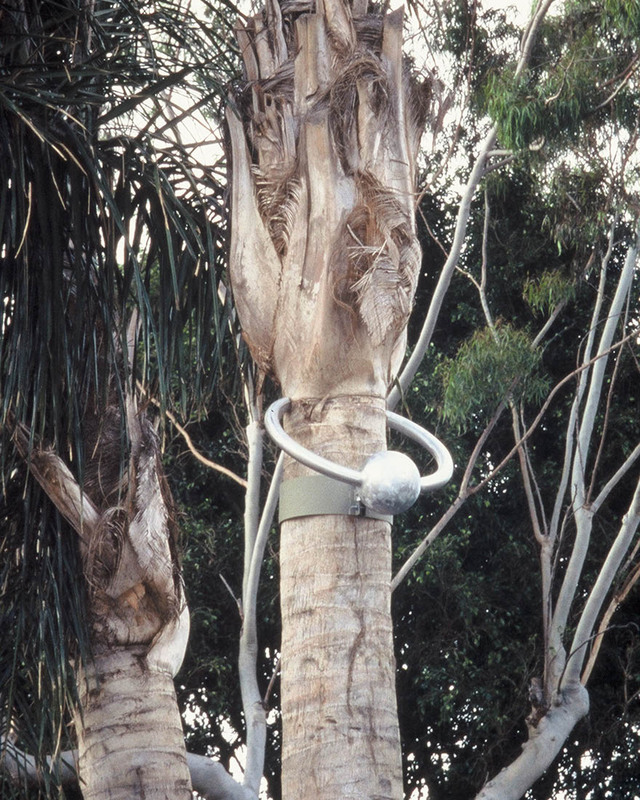 The sculpture simply encircles the tree and the armature is similar to standard application up-lighting in trees, adapted to hold the sculpture. The project is adaptable to other sites. In the Pacific Northwest the dressed trees ad a sparkle to the dark understory.